Any restaurant named after the Spanish slang for "cute, spunky chubby girl" is bound to have personality, but Gordita is not about cheeky smiles and coy giggles. Instead, this place oozes warmth, charm and comfort — from the wood-panelled ceiling to the low hanging lamps emitting an amber glow, to the laidback, soulful soundtrack. Pretty impressive considering this restaurant, sister to Peasant and oyster bar Cabiria, has only been open a few months. 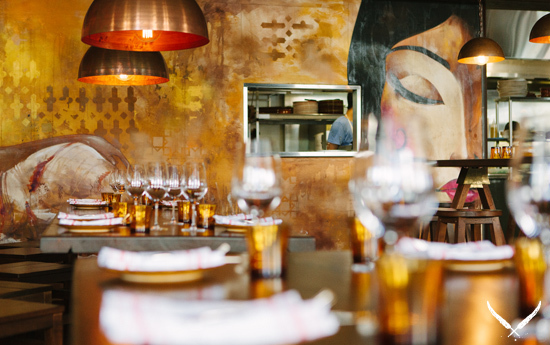 You can seat yourself at the horseshoe tapas bar for a draught Estrella and bowl of warm olives or settle into one of the many booths for an intimate feasting session. The menu is southern Spanish, and may surprise some diners expecting to see chorizo, patatas bravas or tortilla Español. 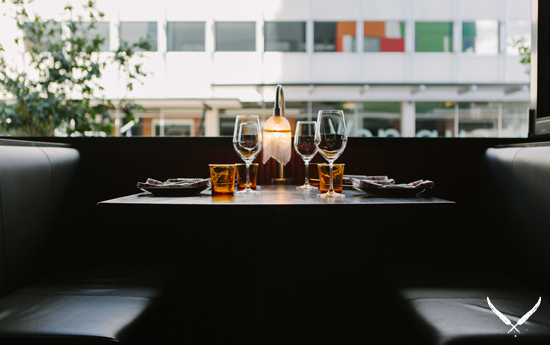 Instead you are treated to small plates, like sourdough with slices of tomato and Iberico ham, Andalusian ox tail stew, or, if you're feeling game, there's braised pig trotter with Morcilla, broad beans and chickpeas. You can also check out the dish that is quickly becoming Gordita's signature — Bomba Catalana. Crisp, round croquetas filled with mashed potato and manchego cheese, with meat ragout, aioli and salsa brava. Moving on to the large plates, there are chicken skewers with Moroccan couscous or stuffed calamari served with squid ink and garlic fried Calasparra rice. We'll be returning with backup to attack the fire grilled "chuleton" of beef — 1kg grass fed T-bone steak served with piquillo peppers, chips and blue cheese. And for sweets, there's a gooey chocolate coulant (aka fondant) or Tarta de Santiago which is a warm almond cake served with dulce de leche. An extensive drinks list is available and perfect for complementing a long feasting session, or quick cocktail and bite after work. And if you're feeling suitably satisfied you can pay your compliments to the chef with a "cerveza para la cocina" — a beer for the kitchen. 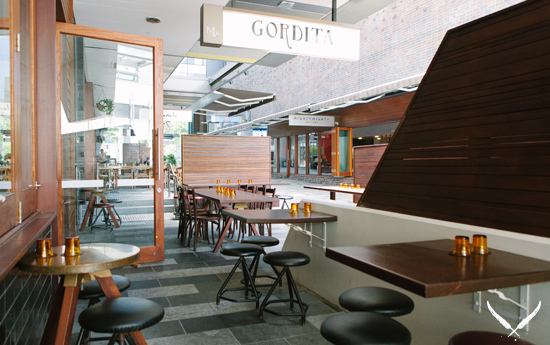 Gordita is open from 12pm to 12am seven days a week.